He takes up odd jobs to raise money for the gift but there’s a bit of a mix up which leads to Paddington being arrested, and it’s up to The Browns to devise a plan to clear his name. Paddington finds an antique book all about London, which he has his heart set on buying for his Aunt Lucy but, little does he know, the book actually contains secret clues to a treasure chest. The evil Phoenix Buchanan (Hugh Grant) does know this and intends on stealing the treasure. He steals the book, frames poor Paddington for his crime and sets about tracking down the clues all over London’s most famous landmarks. He does this whilst employing a number of comical disguises. Meanwhile, Paddington has his hands full with his fellow inmates. They take a dislike to him but he soon wins them around with the help of some marmalade sandwiches. Hugh Grant stars as the villain in this movie and is entertaining as the narcissitic, ‘washed up’ actor. In an interview, Grant says he was flattered when they asked him to play the self-obsessed actor but also “a fraction hurt”. 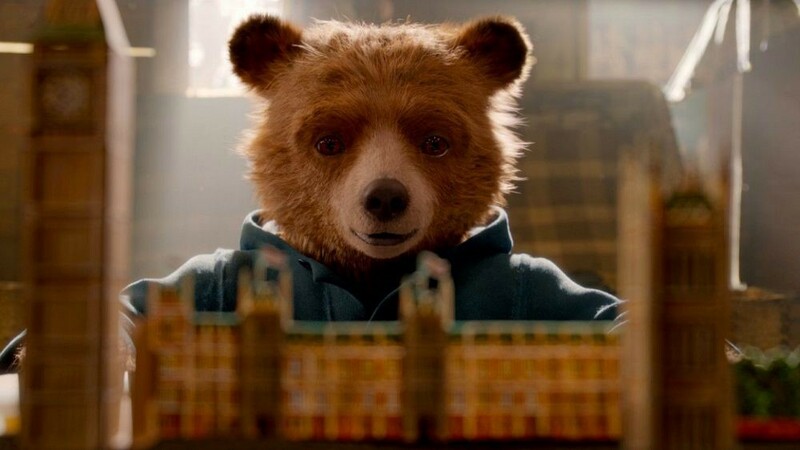 Other cast members include a whole host of familiar faces including Julie Walters, Sanjeev Bhaskar, Ben Miller, Meera Syal and Ben Miller, but it’s Ben Whishlow who shines as the voice of Paddington. He brings the character of marmalade-loving Paddington to life. The movie is directed by Paul King, who also directed the previous Paddington film. The runtime is 1 hour 43 minutes and is entertaining throughout. It’s obviously a movie children will love, but it is rather enjoyable for adults too. It’s a film that is even better than the original which is no easy feat. It’s a nice film to switch off to and relax when all those deadlines get too much.